We are currently in the process of optimizing the bidding platforms for PocketMath, one of the largest supply of mobile programmatic inventory in the world. With a fleet of 15 to 35 bidders around the world, this platform help to serve 40 billion to 70 billion of requests per day. The latency of the system is pretty good with 95 percentile of response time fall below 2 milliseconds. The optimization process gives us a precious opportunity to think about which factors are crucial to building a high performance, low latency system. In this article, let us share the principles that guide our development process. As some of you may have been familiar with, Real-time bidding (RTB) is a means by which advertising inventory is bought and sold on a per-impression basis, via programmatic instantaneous auction. 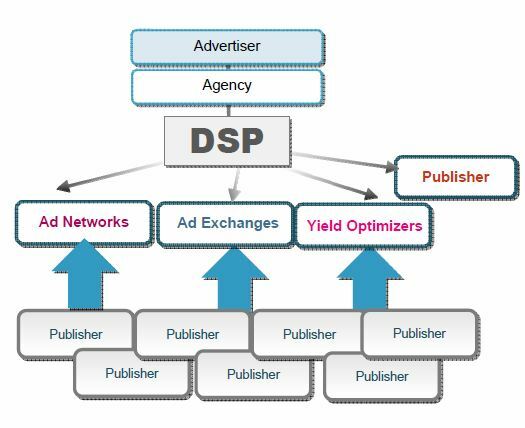 In this ecosystem, PocketMath is a Demand-side Platform, which helps the buyers to buy impressions from Ad Exchange. Because all of the buying and selling happen per impression, the latency requirement for RTB is very strict. Most of the Ad Exchanges will not accept any response from DSP after 100 milliseconds. This time constraint is quite tight if we take the network round-trip into consideration. Normally, network transfer contributes more to the total response time than processing bid request. Therefore, to reduce the timeout risk, DSP will normally self-impose a much lower limit. Other than fast response time, there is another requirement for DSP is stability. It is a common practice for Ad Exchange to throttle the traffic to DSP if the timeout happens too often. As a design mistake can be very costly in the long run, it is better to get it right from the starting point. Compare to other domains like FinTech, the non-functional requirement of RTB is quite special that. it enforces the maximum response time very strictly but does not make it mandatory to process every request. However, the server should still send a no bid response when it intends to skip a request. in RTB, skipping processing only causes opportunity lost, which is not too bad compared to what may happen to a mission critical system. However, failing to process a request in time is much worse because it does not only causes loss of opportunity but also wastage of resource. Therefore, we designed our system to always operate at the optimal throughput regardless of the traffic volume. To ensure each component in the system is functioning at the optimal level, surge protectors are added at the component client so that additional load can be automatically discarded as early as possible. Every quarter, while reviewing the volume of inventory, we also adjust hardware and calibrate all the rate limiters to keep the system running at the best value for money. In case the load suddenly surges due to a spike of traffic or campaign configuration, the system should still continue to process the traffic at its designed capacity and skip the load it cannot handle. The response time is consistent regardless of the load. Microservices architecture gives us a lot of flexibility to develop and maintain the system. However, it also adds network latency to time-critical tasks. Therefore, we need to think twice before applying microservice architecture to our system. For time-critical request, it is better to minimize the number of network hops that the information needs to travel before the response can be generated. We keep the component that facing exchanges as a near single monolithic application. It is a huge component with lots of logic and information embedded to process the majority of requests. Only for some requests that the required information is too big to cache or need to be real-time, then this component will make a network to other components in the system. Moreover, this component can operate partially by discarding the requests it cannot handle if some the external components are not available. It is a simple fact that centralized architecture won't scale. Therefore, to be scalable, the system architecture should resemble a graphic card design more than a CPU design where the information can be processed in parallel and independently. To achieve that, it is necessary to keep all of the components stateless and the information package to be self-sufficient for processing. Try your best to avoid any processing that may require shared resource like a physical database. For example, if the data is immutable, we can clone the data to many read-only databases or caches to avoid centralize processing. It is even more crucial to avoid the scenario where the information can not be processed independently like locking by unique indexes. Eventually, if these conditions cannot be fulfilled, we should try to reduce the impact by minimizing the common part by applying MapReduce processing or in-memory computing. We should also add some redundancy to the components that handling the bottleneck to minimize the risk. Even after applying all of the good practice, maintaining system stability is still a very challenging task because there are too many unknown factors that can affect the system throughput. For example, average processing time can be highly variable while system performance can be temporarily degraded due to backup, hardware upgrade or intermittent network issue. The easy way to improve system stability is to increase the redundancy. However, redundancy only works best when the system is so critical that efficiency is not a concern at all. Otherwise, developers should resort to a smarter method to cope with this challenge. Fortunately, the approach in this use case is pretty straightforward. When being overloaded, you are left with 2 choices, upgrading the hardware or reducing the load. If possible, we should do both. However, autoscaling can be regarded as Devops responsibility but reducing load is a challenge that should be tackled at the architecture level. In order to do that, we need to build a feedback mechanism so that the front end components can slow down or stop responding to new requests when the backend components are overloaded so that the system can go back to the balanced state. For a high-performance system, the crappy code will be punished as long as it was exposed. Therefore, it is never redundant to optimize your implementation twice before rolling it out to the production. Here are some of our experience with developing the high-performance system. For whatever purpose, it is always to good practice to implement health check on the system. However, for a high-performance system, the requirement for monitoring is even more sophisticated with the need for collecting insight about system operation. This information can be very crucial for detecting anomalies, preventing crash and system tuning. We should not only care if the implementation works but also how well is the execution. There are some well-known APM in the market like NewRelic or DataDog that can help us collecting operation metrics and providing alerts when bad things occur. The license of APM may not be cheap but it is highly recommendable to afford one because of the benefit they will bring in the long term. In addition to APM, it is also a good idea to embed debug API into health check so that developers can do the in-depth investigation on Production environment whenever they need to. This practice has proven to be very useful in resolving outages and troubleshooting user inquiries. This practice will surely trigger some concern as it is considered a taboo in the IT world until recently. Simply speaking, the landscape of software industry has changed. In the past, software development is normally a side function of the big corporates with the mission to build domain specific applications. However, nowadays, software development tend to play a much bigger role of transforming life in various startups around the world. In this new role, for an IT project to be successful, the pace of changes may be more important than maintaining the stability of the system. Therefore, we need to make a case by case judgment on the balance between time to market and the quality control. For high-performance systems, testing in Staging is less effective because most of the performance issues only appear under heavy load. It is also difficult to load test them using simulated data because there are too many possible combinations of inputs that may expose hidden bugs. Therefore, similar to what Facebook and Google have done, it is not necessarily harmful to sacrifice a small part of traffic for testing new features. The key requirement for this practice is the ability to identify and contain the damage when it happens. At the beginning of this century, there are many initiatives to make programming easier by isolating the business logic from underlying machine execution. Therefore, the development of complicated application become lots easier with additional layers of abstraction. However, as a side effect, developers manage to go through many projects without collecting fundamental knowledge about underlying execution. However, if you are lucky enough to work on a high-performance system, this knowledge will be important and relevant again. We have seen tremendous benefit of well-optimized code that makes a good use of hardware to get the work done. This benefit can sometimes come as higher throughput, smaller memory footprint or even more critical outcomes like lower latency and more stable performance. It is easy to see that the latter outcomes are somethings not easy to achieve with more hardware but only better implementation. At the basic level, developers should understand the underlying implementation of programming language for common syntaxes. For the advanced level, it is important to pick up knowledge about operating system, network and the hardware infrastructure as well. The biggest source that contributes to performance or functional bugs in our system is code complexity. It is difficult to add new features if existing codebase is too difficult to understand. Patching mentality will continue to increase the technical debt further until it is almost impossible to avoid making mistake. Moreover, complicated codes will have a negative impact on CPU utilization as the biggest performance blunder comes from missing CPU cache rather than processing speed. Hence, a high-performance implementation is also a clean, easy to understand and straight-forward implementation. In-memory computing is a hot trend recently due to memory getting much cheaper and bigger. In the past, when we need more performance, the most common trick is to increase the concurrency level. Most of the web servers in the past have a high number of CPU cores but a relatively low amount of memory per core. That fact implies that web server role is processing of web request rather than data. Most of the data processing usually happens in the data warehouse rather than application. However, for low latency system, retrieving and processing data remotely is considered too expensive. Therefore, if an application can not churn out higher throughput or lower latency with more memory, it might not be well optimized to utilize all available hardware. In the perfect scenario, the system should reach max CPU and memory utilization at the same time. When under load, if only one of them is the bottleneck while the other still has lots of redundant capacity, then it may be a good indicator of wrong hardware configuration or bad optimization. In a high-performance system, both CPU and memory should be treated as the precious resource. We should be careful to conserve both with well-known techniques like object pools, primitive types, suitable data structure and efficient implementation. Developing a low latency and high throughput application requires some special skill sets that not easy to find in the mass market. A common perception is good developers will write performance code. This is true for most of the time. However, many experienced developers, who shine in building other applications but still struggle when dealing with the high-performance system because of old habits and lack of performance consideration in mind. The key point for success in this area should lie in the self-reliant analysis, fundamental understanding and logical thinking. It is also worth highlighting it is not always better to follow the trend in development world because many new methods are good for some other purposes rather than performance. Therefore, it is good to keep learning new things but should always understand the cost versus benefit for each of them based on your priority. Sometimes ago, we published one article sharing a custom approach to implementing stateless session in the cloud environment. Today, let explore another popular use case of setting up OAuth 2 authentication for a Spring Boot application. In this example, we will JSON Web Token (JWT) as the format of the OAuth 2 token. We will not go to detail when you may want to use OAuth 2 and JWT. In general, OAuth 2 is useful when you need to allow other people to build front end app for you services. We focus on OAuth 2 and JWT because they are the most popular authentication framework and protocol in the market. Spring Security OAuth 2 is an implementation of OAuth 2 that built on top of Spring Security, which itself is a very extensible authentication framework. 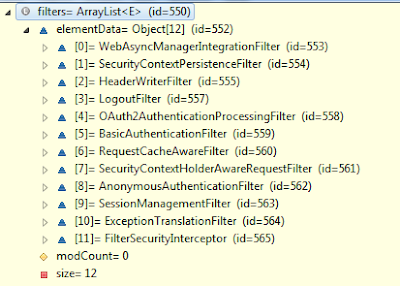 In overall, Spring Security authentication includes 2 steps, creating an authentication object for each request and applying authorization check depending on authentication. The first step was done in a multi-layer Security Filter. Depending on the configuration, each layer can help to create the authentication object for web request with basic authentication, digest authentication, form authentication or any custom method of authentication. The client side session we built in the previous article is effectively a layer of custom method authentication and Spring Security OAuth 2 is built on the same mechanism. Because in this example, our application both provides and consume token, Spring Security OAuth 2 should not be the sole authentication layer for the application. We need another authentication mechanism to protect the token provider endpoint so that resource owner can authenticate himself before getting the JWT token. For a cluster environment, the token or the secret to sign token (for JWT) suppose to be persisted so that the token can be recognized at any resource server but we skip this step to simplify the example. Similarly, the user authentication and client identities are all hard-coded. Authorization Endpoint and Token Endpoint to help to provide OAuth 2 token. A WebSecurityConfigurerAdapter, which is an authentication layer with hard-coded order of 3 (according to Dave Syer). This authentication layer will setup authentication and principal for any request that contains OAuth 2 token. Another authentication mechanism to protect Token endpoint and other resources if the token is missing. In this sample, we choose basic authentication for its simplicity when writing tests. As we do not specify the order, it will take the default value of 100. With Spring security, the lower order, the higher priority; so we should expect OAuth 2 come before basic authentication in the FilterChainProxy. Inspecting in IDE proves that our setup is correct. In the above picture, OAuth2AuthenticationProcessingFilter appear in front of BasicAuthenticationFilter. There are few things worth noticing about this implementation. Setting up JWT token is as simple as using JwtAccessTokenConverter. Because we never specify the signing key, it is randomly generated. If we intended to deploy our application to the cloud environment, it is a must to sync the signing key across all authorization servers. Instead of creating authentication manager, we choose to inject an existing authentication manager from Spring container. With this step, we can share the authentication manager with the Basic Authentication filter. It is possible to have trusted application and not trusted application. Trusted application can have their own secret. This is necessary for client credential authorization grant. Except client credentials, all 3 other grants require resource owner's credential. We allow anonymous for checking token endpoint. With this configuration, the checking token is accessible without basic authentication or OAuth 2 token. WWW-Authenticate:Bearer realm="spring-boot-application", error="unauthorized", error_description="Full authentication is required to access this resource"
With the new response header, a browser will auto prompt user for the username and password. If you do not want the resource to be accessible by any other authentication mechanism, this step is not necessary. Some browsers like Chrome like to send OPTIONS request to look for CORS before making AJAX call. Therefore, it is better to always allow OPTIONS requests. As mentioned earlier, because we need to protect the token provider endpoint. We expose the AuthenticationManager bean so that our two authentication security adapter can share a single authentication manager. Spring Security CSRF working seamlessly with JSP but is a hassle for RestAPI. Because we want this sample app to be used as a base for users to develop their own application, we turned CSRF off and add in a CORS filter so that it can be used right away. We wrote one test scenario for each authorization grant type following exactly OAuth 2 specifications. Because Spring Security OAuth 2 is an implementation based on Spring Security framework, our interest is veered toward seeing how the underlying authentication and principal are constructed. Before summarizing the outcome of the experiment, let take a quick look at few notes. Most of the requests to token provider endpoints were sent using POST requests but they include user credential as parameters. Even though we put this credential as part of URL for convenient, never do this in your OAuth 2 client. We created 2 endpoints /resources/principal and /resources/roles to capture the principal and authority for OAuth 2 authentication. This result is pretty as expected except for Client Credentials. Interestingly, even though the client retrieves Oauth 2 token by client credential, the approved request still does not have any of client authorities but only client credential. I think this make sense because the token from Implicit Grant Type cannot be reused. In a recent Lean Coffee retrospective, each member of our team was asked to raise one question or concern about working environment. For me, my burning question is how much should we mind other business. After voicing out my concern, I got subtle response from the team as people did not feel very comfortable expressing their thought on this controversial topic. Even without the possibility of hiding real opinion to be politically correct, it is quite likely that many of us still do not know which attitude is more desirable in our working environment. Talking about personal preference, I have met people that truly believe on opposite sides of standing. Apparently, if the workplace is mixed with both types of people having opposite mindsets, conflicts tend to happen more often. However, this topic is rarely being discussed in workplace. Therefore, there is often a lack of consensus in the corporate environment regarding how much should we care about other people works. As a consequence, some people may silently suffer while others may feel frustrated with the lack of communication and cooperation. So, is there a right mindset that we should adopt in our working environment or should we just let each people to have it their own way and hope that they will slowly adapt to each other? Let discuss if we have any viable solution. Usually, the culprits of meddling with other people works are the one who do managing job. It is obvious that no one like to be micro-managed, even the micro manager himself. Being told of what to be done in details would give us limited space for innovation and self learning plus a bitter taste of not being trusted. In real life, micro management rarely be the optimal solution. Even in best scenario, micro management can only help to deliver the project with average quality and create a bunch of unhappy developers. Following instructions rather than depending on own thinking rarely create excellent works. To be fair, it can help to rescue a project if the progress fall below expectation but it will not help much on achieving excellency. It is even worse that manager, who accomplish the jobs by micro management can be addicted to it and find it harder to place trust on his sub-ordinates in the future. It is even harder to interfere with some one else work if you are not happen to be a senior or the supervisor. In reality, an act of good will can be interpreted as an act of arrogance unless one manage to earn reputation in the work place. Even if the contribution bring obvious outcome, not every working environments encourage heroism or rock star programmer. Moreover, some introvert folks may not feel comfortable with the attention as a side effect. Similar to above, this heroin act is normally more welcome in crisis time but may not be very well received when the project is already stabled. To be fair, no one border to care about someone else work if it is not for the sake of the project. Of course, there are many poisonous managers who want to act busy by creating artificial pressure but in this article, let focus on the people who want to do see the project success. These people sometimes walk out of their role profiles and just do whatever necessary to get job done. Eventually, because project work is still team work, it may be more beneficial for each member of them team to think and focus on common goal rather than individual mission. It is pretty hard to keep the information flow through and the components to integrate smoothly if each member only focus on fulfilling their role. No matter how good is the plan, there will likely be some missing pieces and that missing pieces need to be addressed as soon as possible to keep project moving forward. Many successful entrepreneurs claimed that the secret of their success is delegating the tasks to capable staffs and place trust on them. It is definitely the best solution when you have capable staffs. However, in reality, most of us are not entrepreneurs and the people working on the project are chosen by available resources rather than best resources. There may be a time when a project is prioritized and granted the best resources available, when it is in a deep crisis. However, we would not want our project to go through that. Therefore, from my point of view, the necessary evil here is the task oriented attitude over people oriented attitude. We should value people and give everyone chance for self improvement but still, task completion is first priority. If the result of work is not the first priority, it is hard to measure and to improve performance. I fell it even more awkward to hamper performance for the sake of human well-being when the project is failing. So, what is the best compromise? I think the best answer is balance. Knowing that meddling with other people works is risky but the project success is the ultimate priority, the best choice should be defining a minimal acceptable performance and be ready to step in if the project is failing. Eventually, we do not work to fulfill our task, we work together to make project success. Personal success provide very little benefit other than your own well-being from the corporate point of view. However, don't let this consume you and be addicted with the feeling of being people's hero. Plus, don't raise the bar too high, otherwise the environment will be stressed and people feel less encouraged. Database design has evolved greatly over the last 10 years. In the past, it used to be the database analyst job to fine-tune the SQL query and database index to ensure performance. Nowadays, developers play a much more crucial role to ensure the scalability of data. The database design task, which was autonomy, now becomes an exciting task, which requires a lot of creativity. In this short article, let's walk through an example of real life issue to see how database design has changed. In this example, our business requirement is to build a database to store property information for the country. At first, we need to store any property and its landlords. If a property is being leased, the system need to store tenants information as well. The system should also record activities of properties, including buy, sell and renting. As a typical database system, the user should be able to query properties out by any information like address, owner name, district, age,... The system need to serve data for both real time query and reporting purpose. It is pretty obvious that there are few entities in this domain like landlord, tenant, transaction and property. Landlord and tenant can be further analysed as people that acts different roles. For example, one person can rent out his house and rent another house to live, which mean he can be the landlord of one property and the tenant of another. That leaves us with 3 major entities: person, property and transaction. Person and property entities have many to many relations to each other. Transaction entity links to one property and at least one person. If we group some common attributes like occupation, district, building, it is possible to introduce some other sub-entities that may help to reduce redundancy in information. If you are one of a developer that being trapped in the relational database era, the only viable choice for persistence is relational database. Naturally, each entity should be stored in a table. If there are relationship between 2 entities, they are likely to refer to each other by foreign keys. With this setup, there is zero redundancy and every piece of information has the single source of truth. Obviously, it is the most efficient way in term of storage. There may be an issue here as it is not easy to implement text searching. Whether 10 years ago or today, text search has never been supported well by relational databases. SQL language provides some wildcard matching in the language itself but it is still very far from a full text search. Assume that you have completed the task of defining database schema, the fine tuning task is normally the job of database analysts; they will look into every individual query, view, index to increase the performance as much as possible. However, if the readers have spent years working on relational database, it is quite easy to see the limit of this approach. A typical query may involve joining several tables. While it works well for low amount of records, the solutions seem less feasible when the number of tables increase or the amount of records in each table increase. All kinds of tweaks like data sharding, scaling vertically or adding index only help to increase performance up to a certain level. No magic can help if we are going to deal with hundreds millions of records or joining more than 10 tables. This technique reverses the process of normalizing data in relational database. For example, instead of joining property with the building, district or country table, we can simply copy all the column of the relevant records to main table. As a consequence, duplication and redundancy happen. There is no single source of truth for sub-entities like building, district, country. In exchange, the joining part in SQL query is simplified. Explosion is an expensive process that may take hours or even days to run. It sacrifices space, freshness of data in order to increase real time query performance. In this technique, relational database is still the source of truth. However, to provide text search, important fields were extracted and stored in a document database. For example, knowing that users will search for people by age, gender and name, we can create document that contains these information plus the record id and store them to Solr or Elastic Search server. Real time query to the system will first be answered by searching in document database. The answer, which includes bunch of record ids will later be used by relational database to load records. In this approach, document database acts like an external index system that help to provide text search capability. The final choice is storing data to an object-oriented or document database. However, this approach may add a lot of complexity for data maintenance. To visualize, we can store the whole property or person to database. The property object contains its owners objects. In reverse, the owner object may includes several property objects. In this case, it is quite a hassle to maintain to set of related objects if the data change. For example, if a person purchases a property, we need to go to the property object to update owner information and go to that person object to update property information. After scanning through the approaches mentioned above, let try to find the limit for each approach. Relational database normalizes data before storing to avoid duplication and redundancy. However, by optimizing storage, it causes additional effort on retrieving the data. Taking consideration that database is normally limit by querying time, not storage, it doesn't seem to be a good trade off. Explosion reverses the normalizing process but it cannot offer fresh data as explosion normally take a long time to run. Comparing running explosion with storing the whole entity object to an object-oriented database, the latter option may be easier to maintain. Adding document database offers text search feature but I feel that it should reverses the options to improve scalability. Document database is faster for retrieval while relational database is better for describing relationship. Hence, it doesn't make sense to send the record ids from document database back to relational database for retrieving records. What may happen if there are millions of records id to be found. Retrieving those records from noSQL database is typically faster than relational database. As mentioned above, when these entities are inter-linked, there is no easy way to separate them out to store to an object-oriented database. Thinking about these limits, I feel that the best way to store data should be combining both relational and document database. Both of them will act as source of truth, storing what they do best. Here is the explanation of how should we split the data. After this, we can remove any data column from relational database schema. It is possible to keep some simple fields like "name", "gender" if they help to give us some clues when looking at records. After that, we can store the full entities in a document database. We should try to avoid making cross-references in stored documents. Configure JPA to only store name and id for each main entity like person, property. Ignore data fields or sub-entities like building, district, country. Store the property object to relational database. As the result of earlier step, only id and name of the property are persisted. 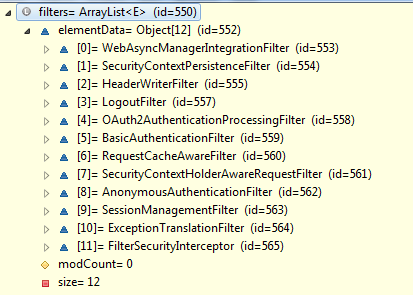 Update property object with persisted ids. Store property object to document database. Store owner object to document database. Sending query to document database, retrieving back record. Sending query to relational database to find all property that belong to the owner. Sending query to document database to find these property by ids. In the above steps, we want to store records to relational database first because of the auto id generation. With this approach, we have a very thin relational database that only capture relationships among entities rather than the entities them selves. Treating main entities as independent records. Treating sub-entities as complex properties, to be included as part of main entities. Storing id, name and foreign keys of main entities inside relational database. The relational database is serving as a bridge, linking independent objects in noSQL database. Storing main entities with updated ids to noSQL database. Any CRUD operation will require committing to 2 databases at the same time. Off-load the storing data task from relational database but let it do what it can do best, stores relationships. Best of both worlds with text search and scalability of noSQL database and relations searching of relational database. No single source of truth. Any corruption happen in one of the two databases will cause data loss. Storing data to a graph database that offer text search capability. This is quite promising as well but I have not done any benchmark to prove feasibility. The solutions is pretty complex but I found it is interesting because the scalability issue is solved at the code level rather than database level. By splitting the data out, we may tackle the root cause of the issue and be able to find some balance between performance and maintenance effort. The complexity of this implementation is very high but there is no simple implementation for big data.